Soldats Official Discord Server was created by @manofoneway circa early October 2016, joined shortly @nosejj in the early efforts. Within less than a year dozens of users have turned into hundreds. As most of you may have noticed, the majority of the IRC community has now migrated to this server. The Soldat Gather Services has moved too, and hopefully this month Soldatladder will join as well. A big thanks should be mentioned for our Gather bot programmer, @XvayS. Hard at work, providing excellent quality and maintaining it non-stop. Couldn't have done this without you. The goal of the Discord server is to create an active, vibrant and refreshing Soldat community. As well as provide quality services such as gather and servers rental. Soldat's Discord aspires to create a communal hub, in which Soldat players of all sorts can be gathered to play, discuss and enjoy content related to Soldat. 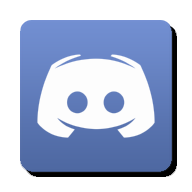 One can use Discord on many platforms (Win/Mac/Linux/Android/iOS & Web-browser). We highly recommend using the Desktop application for best user experience. Joining our server can be done through the following invite Link. You can also share this exact link if you want to invite your friends. If you're experiencing difficulties using Discord and need further assistance you can Discord's Help Center, or contact one of our admins. We are welcome new communities to come and enjoy our server in hope that their players base will increase and perhaps will make veterans even return to the battle field. We currently have a few channels dedicated to sub-modes of Soldat: Realistic, Knife Only, Hide 'N' Seek, Climb, (Tactical) Trench Wars & OneShots. We hope to see all of them growing in the future! The majority of old-school players know Soldat Gather. As mentioned, Discord is the new home for it. The gathers are taking place at it's own channel: #gather. 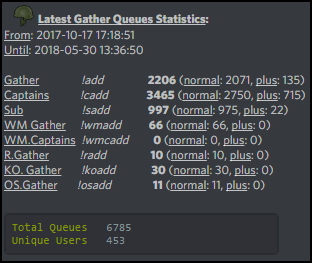 Soldat Gather is a community on Discord, on which competitive matches are being organized. These matches are called gathers. Gathers are similar to what you might know from games such as CS:GO as 'matchmaking'. The preferably played gamemode on our gather is 'Capture the Flag' but we do also provide the option to play all other major gamemodes. Six players are needed to start a default gather queue, as the match is played 3on3 in CTF. Playing gathers actively, will rapidly turn you into a stronger player and you will have the chance to meet the best Soldat players and become a part of the competitive Soldat community. 1. Respect everyone and don't be hateful. Keep in mind you're communicating with humans here. 2. Racism will not be tolerated. That goes for any of our channels and services. 3. Do not engage in confrontations. If you're getting flamed, simply contact the admin team and let them handle it. 4. Controversial topics such as politics are outside of the scope of #gather and gather matches. 5. Keep it family friendly. This means no NSFW (not safe for work) content. 6. Don't spam. Avoid highlighting users excessively for no reason. 7. Use respective channels. Please communicate in the appropriate channels in order to keep the server nice and tidy. 8. No illegal or harmful content. This includes warez and malicious links. 9. English only. Messages in other languages may be removed and temporary mutes may be given. Soldat's Official Discord - What's New!? Slightly more damage to DE, Spas & all automatic weapons. - With the uprising public interest in OneShots, we are proud to present the OS.Gather (!osadd/+ & !osaddna/+)! For those who can't get enough of M79/Barret/Knife/Chainsaw/LAW! - Was a blast. Thanks for all the participants. Here are the results. - #trench_wars now available with 2 public servers provided by Falcon. - #OneShots for those M79/Barret/Knife/Saw/LAW only enthusiasts! - Event Champions role is granted for 3 weeks for each event winner. 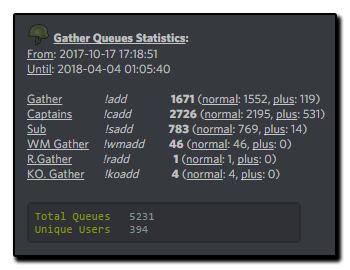 We hope you're having a good time in our #gather and we're open to read civil and constructive suggestions of improvements, either here or in PM in Discord. - #rules is now available to read in Dutch, English, German, Hebrew, Polish, Portuguese, Russian, Spanish & Turkish. Big thanks to vnteek, Puure, Nanouk, F4ll, urraka, Drummer, XvayS, winter, DutchFlame, Denacke & shredder for translating and helping review. - #info channel updated with new graphics, new links and added our server goal description. - The player's list of the Knife Only Cup Event t is filling up in a short time! Make sure to catch your spot. From now on, offenses will be treated on a case-by-case basis, meaning that different types and severities of offenses will draw a different punishment. The punishment's description and length will be kept at admins' discretion. Beginning 1st April 2018, all bans that have expired prior to this date will be removed from a player's record. Each player will start with a new tally until the next scheduled bans reset. This does not apply to permanent bans set by admins. Messages in a language other than English may be deleted and the person may also be muted for repeated abuse.
? ctf_Mine by Puure was added for the KnifeOnly Gathers.
? Added !macos and !linux commands for a guide on how to run soldat for these OS.
? Here's a comparison between the two WMs we have (left column = values of !add, right column = values of !wmadd). #development_team & #creative_team are new channels where the community can follow the development and creative development processes of Soldat, show interest and ask questions. Please make sure to stay civil, patient and not spam (#rules). We added Level 5 and increased the minimum level requirement for Gather+ to Level 4. This was done in order to create a wider range of levels for unvoiced players (0 up to 3). Gather+ Players were simply bumped from 3 to 4, and from 4 to 5. Within the process all of the gather players' level roles were reviewed again by the Trial Jury and adjusted accordingly. The ban lengths for Gather-related offenses have been reduced by half. Bans are still cumulative and will increase in length with each offense. If you have any specific questions or suggestions on how to improve our ban system, please contact a Gather Admin. Thanks. shredder joined the gather administration team. All users issued a punishment will now be notified by direct message via an automated system (@SoldatBans). An explanation of the punishment and ban-time will be provided. Please make sure that you are able to receive direct messages from this server in order to be notified. Bot has been updated to provide you with a more consistently balanced captains gather experience. Thanks to XvayS. Added 2 EU Servers hosted in Frankfurt, DE (#11 & #12) - Feedback needed on their performance. Again, thanks to XvayS. Italian translation was added thanks to diobrando89 who just straight up pm'ed me a translation. - !WM to see a comparison table between 1.7.1WM to 1.7.2WM Beta used in Gather. - !mapviewer will show you urraka's online map-viewer tool. - !guide was updated to link to the latest merged version of the comprehensive ctf tutorial (by Tanaka and nosejj). Page created in 0.613 seconds with 20 queries.